Oanda vs Forex.com for US resident? Hi. I’m a beginner opening a $2,000 account in the US. Oanda vs Forex…com? Both should be fine. Personally I use Forex.com but I don’t see any difference whether you use either. How long have you demo traded? Take a look at this data first. With such a big initial investment I would rather use Exness. Exness isn’t available in the US. In the article you’ve linked, I think the data shown is more of a reflection of the traders’ abilities rather than the trading platforms themselves. Some companies may just be better at marketing, which means they’re able to acquire more new traders. 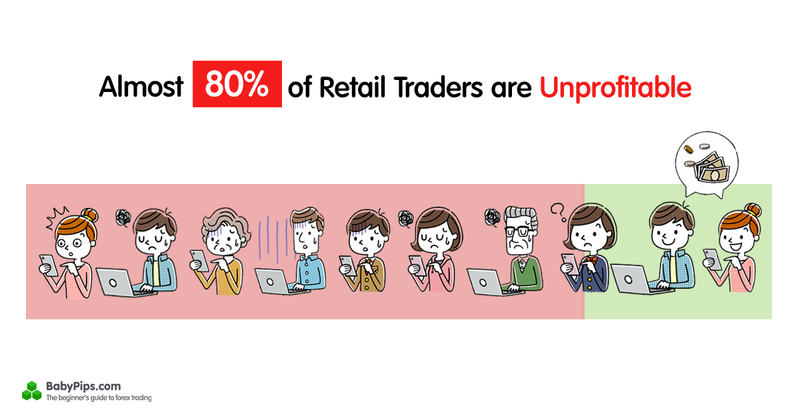 Due to the high failure rate of new traders, this will lower the proportion of their profitable traders. I haven’t traded yet, just been studying. I plan to start demo trading for 2 months before I open my account, so I’ll probably demo a month with each broker. Just wanted to hear peoples’ opinions on the two. Thanks. Not to confuse things, but IG just started allowing US residents to trade on their platform. Well, just got US approval would probably be the more correct explanation. I use Oanda. Forex is a sponsor here. That’s a massive move for IG - one of the biggest UK based spread betting and CFD providers. I’m sure this new market investment (into the US) will only be profitable for them. I’m also sure the US welcomes with open arms a new player into the very very restricted and limited field that is available. Same I use Oanda myself I think the only difference really that made gravitate towards Oanda was I could trade any amount of units where I believe forex minimum is 1,000 units. where I believe forex minimum is 1,000 units. Yup you are correct. Ooh maybe I should open an Oanda account also. How long have you been with them? I’ve had them for about 3 years. They have crappy customer service but I can at least withdraw / deposit fine though. If I may ask, what was the reason you’ve had to get in touch with customer service? I haven’t had to just yet (maybe I’m too new) but just wondering! Well they just respond very slow while they have fixed my concerns and issues when it was brought up. Currently I’m waiting for a response for their system failing during 1.4.19 after getting a concise written response that one of their servers went down. Other than that I don’t really ever contact them so there’s that but I have the advance charting/news malfunction on me a bunch of times where it wants to open up in the browser. Again for me its no biggie but those are little ticks and tacks I’ve noticed so far. Gotcha. Yeah that doesn’t sound too bad at all. Hopefully I will never have to get in touch with any of these brokers’ customer service reps. Thinking of opening an Oanda account also but maybe after my 10 week challenge lol. I found out from a friend that they let you trade weird individual lots so that’s interesting. Hmm see that’s something to look into as well. I still have a forex account though I just barely use it and I prefer their calendar vs Oanda actually which is why I kind of use them hand in hand. What do you use to trade? For Forex I’m pretty much just using their app. Haven’t really tried MT4/TV/native desktop platform. I use Oanda version of Trading view. I can’t get behind the MT4 visually it bothers my eyes honestly lol though it’s easier to assemble EA’s and what not if your going that path. I’ve only been using Oanda native app on (my phone, ipad & my macbook). Usually just use the ipad & mobile to monitor trades on the go if anything. I do my main setups off my macbook. I have always used their web-based platform and am very satisfied with it. It is a Trading View derivitive, it seems, and, honestly I run Trading View because it does have more bells and whistles. You can load the Oanda data onto Trading View, and can place trades on either. See I haven’t done that yet I’ll probably PM more in depth with that actually. I haven’t opened a trading view yet. Exness are really bad generally in my experience. I won’t be going back to them. You know that OANDA comes with a high risk of losing money quickly due to its leverage, right. So this is the matter of risk to me. But if you are experienced and feel pretty confident so why don’t you give it a try? At least it the platform looks nice.